Tony Zreik is proud to introduce a new hairdressing concept to London. “Our mission” – Is, to be the most knowledgeable, communicative hair designers in the industry. We work together with our clients to achieve the best result possible for the look they desire; taking into close consideration their individual personality and lifestyle. Welcome to the world of Tony Zreik Unisex Hairdressers - a melange of artist's easels, crystal chandeliers and exclusive artwork by the artist himself, Tony Zreik. An established artist and hair designer, his main aim is to personalize every hair cut according to your own unique individuality. Tony translates his passion into a signature style of "Hair Art" and certainly passes this knowledge on to his creative and friendly team, to help you precisely paint the picture of your new look. In the words of Tony himself: "Our Vision" Each client who walks through the door of my salon shall be treated like royalty. We will transform their conventional hairdressing experience into the unique world of my artists studio. They will then become the subject of artwork, while facing our gilded-framed mirrors. The paint brush will be laid down, and then we work with our clients' hair as a form of art.
" We welcome you to experience the world of Tony Zreik "Hair Art" ! 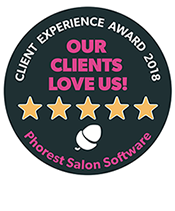 Tony applies over 25 years experience of working and running a hairdressing business in Greater London to provide five-star service for his clients. His attention to detail, coupled with his ability to understand even the most demanding hair types, has earned him a long list of faithful followers. He knows every client is an individual whose hair fashion must reflect not only the qualities of their hair, but also their profession, lifestyle, and above all, their personality as well. Please call him to discuss your unique hair fashion needs. You'll have a light-hearted and creative experience in a lively and artistic setting..
With 15 years total experience, 13 of which being at Tony Zreik Salon, Lena is one of London's most accomplished and popular hairdressers; as well as being the manager and co-owner of the salon. A native of Bulgaria, she is gentle and friendly, but above all, passionate about offering our clients the best possible customer experience. .
Nadia has a superb record of customer service during the 20 years of experience in colouring and cutting hair, 11 of which being here, with us. Also a native of Bulgaria, she provides a sophisticated and professional service with European flair. Since September 2014, Nadia divides her time between the Tony Zreik salon and another client-base in Bulgaria. We are lucky to have her here three days a month and, because of her exclusive time, we ask that you please book your appointment well in advance. .
Our senior stylist, Julia, has 10 years' hairdressing experience, besides the further training she has received from Tony himself since her arrival here in April 2014. Julia is incredibly friendly and demonstrates the highest standards in her work. A native of Romania, Julia, like the rest of Tony's Angels, combines the salon's unique approach to customer service with a strong commitment to the latest hair styles and techniques..
We are pleased to introduce our Top Stylist, Silvia, who joined our team in 2016 from Bulgaria, with total of 8 years working experience. She recently received comprehensive training from Tony, and has already proven to be an excellent member of our salon team and we are excited about her progress.Her previous work experience includes four years of working in her Mother's hair salon in BG. Like the rest of Tony's Angels, she has won the hearts of our happy clients as we have learned with an excellent record of five stars feedback from her customers. We predict a great future for silvia in the hairdressing business. Silvia, we are delighted to have you here and welcome you on-board.. Cutting hair is art & colouring is art & our good customer service is the best of art. My experience is always amazing. Getting my haircut here and with Julia is definitely a highlight every six weeks. It is so relaxing and such a welcoming environment. It's like going "home" for a haircut where sit amongst friends and family. So glad I found this place and my hair is perfect every time. Would recommend to anyone and everyone! Experience the world of Tony Zreik "Hair Art" !